Members of New Garden Friends Meeting in 1819 helped an emancipated slave make his way to permanent freedom in the North. The case of John Dimery is the earliest documented case of Underground Railroad activity. The National Park Service designation is expected to bring history lovers of all ages to New Garden Friends Meeting, New Garden Cemetery, and the Guilford College campus. New Garden Meeting was the spiritual home of Levi and Vestal Coffin – known leaders assisting runaways going from the New Garden area to Indiana from 1819 to 1826. Vestal and his wife, Alethea, are buried in the New Garden Cemetery. The Meeting and Cemetery are within walking distance of the Guilford College Woods site, known as the Underground Railroad’s southern terminus. The Quaker belief in “that of God in everyone” led to intense soul searching in the meetinghouse over the issue of slavery during the first half of the 19th century. Local Friends as well as visitors made strong anti-slavery statements when the location hosted statewide annual sessions from 1814 to 1865. There were multiple legal institutional responses among North Carolina Friends to slavery. These included petitioning the legislature, prohibiting Friends from ownership or economic gain through slavery, and purchasing those enslaved for their protection when manumission was not permitted. 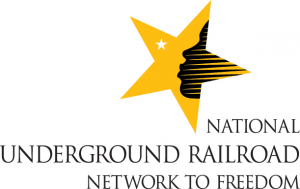 The Underground Railroad required direct individual action by connecting sympathetic persons (black and white) in North Carolina to those in free states, and assisting fugitives to freedom. New Garden Friends Meeting continues to be inspired by this history. Learn more about the National Park Service’s ‘Passport to Your National Parks’ Program. The Friends Historical Collection at Guilford College has a wealth of material on Quakers and the abolition movement.